And now, Stacey Ballis’s interview has another orange-highlight-worthy quote. Frankly, I’m not surprised! 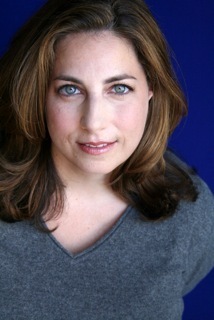 Please welcome author Stacey Ballis to Women’s Fiction Writers! ASN: Your current novel, Good Enough to Eat, tackles some heavy (sorry, couldn’t help it) issues when the main character loses a lot of weight and her husband leaves her — for another overweight woman. How did this idea come about? SB: I have no illusions about what I do, there are no new stories. All I can do is take one of the existing stories in the world and give it my own special spin. For me, there are way too many stories where the heroine loses a great deal of weight and then gets the guy and the happy ever after. But that is not always the way things work. I know many people for whom major life change, especially something as drastic as losing half your body weight, transforms you in ways that you can’t anticipate. I personally know three people who lost this amount of weight and it either ruined existing relationships or made it very difficult for them to get close to someone new. I thought it would make for an interesting perspective to meet a woman who should be at the best place in her life, thin and healthy for the first time, having made a positive career change, and then have the rug pulled out from under her and get to see how she rebuilds. ASN: I love the variety of characters in your novel — and their inherent quirkiness. I think sometimes we, as writers, forget that these quirks which seem unusual is what really makes them universally relatable. Who’s your favorite character in Good Enough to Eat and why? SB: This is a tough one, because I really fell in love with this gaggle of misfits who find each other and make for such a special, if unusual, family. But if I had to choose, I’d pick Kai. I love how positive he is, how fun and sassy but still wise beyond his years. ASN: Would you tell us a little about Off The Menu, due out in July 2012? SB: Off The Menu is another foray into foodie fiction, a novel with recipes. It looks at the life of Alana Ostermann, who is a first generation Russian-American working as the Executive Assistant Chef to a very famous celebrity chef. Because her boss is a television star with many successful restaurants, and is something of a difficult personality, her job is very intense and has few boundaries. He treats her as a colleague, mother, shrink, surrogate wife…the job is all consuming, and leaves her very little space for a personal life. Until she meets RJ, a warm and wonderful man who quickly makes her realize that she needs to make room in her life for love. While she is trying to figure out how to find that balance, she gets two very different opportunities for the next step in her career…one with her current boss that would mean an expansion of her duties but also the chance to make an enormous amount of money, and one with a charity that she volunteers with, which is the work of her heart but would mean a significant cut in salary. For Alana, who helps to support her retired parents, this dilemma is more than just deciding whether to go for the financial reward or the personal. It is about needing to face some demons, make some difficult choices, and ultimately make a decision about the life she wants. Lucky for her, she has a large close-knit family, a wonderful group of friends, and a fabulous odd little dog named Dumpling to help her find her way. ASN: Off the Menu will be your sixth novel — unless I missed one somewhere! Can you share with us your journey from being an unpublished to published author to an author with six notches on her bookcase? SB: Yep, number six! My journey was unusual and very lucky. Shortly after my divorce in 2001, I sat down to write a short story that decided to not stop for 400 pages. Having accidentally written a novel, I sent a synopsis and some sample chapters on a lark to a brand new imprint that was accepting unsolicited manuscripts from unagented writers. Six days later they asked for the whole book, and three weeks later they made me an offer. I called a cousin who is a novelist to ask for a referral to a lawyer to help me with the contract, and she sent me to the man who would two days later become my agent and negotiated a two-book deal for me. My third book, Room For Improvement, went to auction and I moved publishers to Berkeley/Penguin, where I have been ever since. On the one hand, writers in current query mode collecting “thanks but no thanks” letters want to kill me. But for me, I like to believe that my story is hopeful. I didn’t have an in, I’m not famous, I wasn’t working at a magazine in New York. I wrote a book, I sent it to someone who liked it and bought it. It is proof that it can still happen. SB: I have always found it interesting that if you are a woman who writes a book with female characters about life and love and relationships and career, it is called Women’s Fiction, and if you are a man who writes a book with female characters about life and love and relationships and career, it is called A Book. Qualifiers aside, I think the industry defines women’s fiction as books written by women, with female protagonists, with strong themes relating to family, love and the issues facing women in the middle section of their lives. It is kept separate from Chick Lit, which tends to focus on the more 20-early 30-something issues. ASN: What’s your best advice specifically for aspiring authors of women’s fiction? SB: Don’t try to write what you think is commercial, or the hot topic. Don’t jump on a particular bandwagon because you think it is saleable. Vampires yesterday, Zombies today, medieval Kings tomorrow…those trends began with people who simply wrote the book they were supposed to write, the fact that they went boffo is the strange magic of the business. If you try to jump in mid-stream, you’ll always be dilute. Write the book of your heart. Write the book you want to read. Write the story that speaks to you, to your experience, to your curiosity. Write it for yourself, and let the chips fall where they may. If the only thing that sends you to the keyboard is the desire to be published, you are destined to be disappointed, and I would examine whether you are truly an artist. You should write because you have to write. Because you have stories in your head that need telling. Because you don’t breathe so well unless you are working on something. Publishing is an insane business, not terribly lucrative for all but a lucky few at the very top, and more than occasionally heartbreaking. Writing, on the other hand, is the most joyous, freeing, exhilarating endeavor. You can create worlds, gift someone with love, always find the exact right thing to say at the moment you need it instead of in the car on the ride home. Anyone can be a writer. Very few of us are lucky enough to be published authors. Aspire to be a writer. Let the author thing happen or not as it will. I love these words from Stacey. I’ve had the pleasure of meeting her a few times. She’s a wonderful talented person! As an aspiring author with my second manuscript on submission this very moment, I love what she says about the whole process — so many heartbreaking moments to get to the moments, yet it’s something from within that makes you want to write. Thanks for sharing this interview! “always find the exact right thing to say at the moment you need it instead of in the car on the ride home.” YES, YES, YES! I never really thought of it like that, but I do believe that’s a big attraction (at least for me) in putting words down on paper. I’m not very good at thinking on my feet, but give me a couple of hours, a couple (or 10) of revisions and I’m golden. And yes, love her summary of the dichotomy of what women and men supposedly write. Amy, thanks for reminding me of Good Enough to Eat. I had seen it mentioned before…I think on WritersUnboxed…and meant to make note of it and had forgotten. It’s now on my permanent list. This is spot on. Great post. Thanks! Totally love the highlighted words regarding Women’s Fiction. At times genres become one-way-streets, but every once in awhile someone dares to drive into oncoming traffic. Stacey, I look forward to checking out your latest as well as your newest release. Best wishes on your road to success! Like the others, I love the definition of women’s fiction that Stacey provides. I also find comfort in her non-traditional route to success. “Write the story that speaks to you.” That is what it’s all about! Wow, I love this interview for too many reasons to list — amazing! I especially love Stacey’s description of women’s fiction, wonderful! 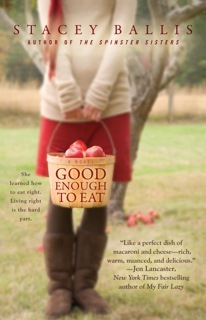 And I am very much looking forward to reading GOOD ENOUGH TO EAT. “If the only thing that sends you to the keyboard is the desire to be published, you are destined to be disappointed, and I would examine whether you are truly an artist.”–So true. I often say a variation of this to my acting students. Thanks for sharing your journey, which most definitely an inspiration. Thanks to all for such lovely words. Made my day! What else can we do? I’m adding your books to my to read list Stacey, and going to pick up Good Enough to Eat right now! Congratulations. Thanks, Amy, for the introduction to another wise, witty author. Stacey, your advice is not only perfect for aspiring writers, but also a great reminder to those of us who are published and making our way in what you aptly describe as this “insane business.” I especially love your sentiments to “Write the story that speaks to you… Write it for yourself, and let the chips fall where they may.” That one is getting printed off and posted by my computer as I work on my novel in progress. Can’t wait to pick up this book now! LOVED the advice. Thanks so much for this interview…Stacey’s words really spoke to me. “Because you don’t breathe so well unless you are working on something…” Shweew! And amen. Thanks for a wonderful interview. Beautiful, inspiring words. The last answer in particular — almost poetry. Thank you.